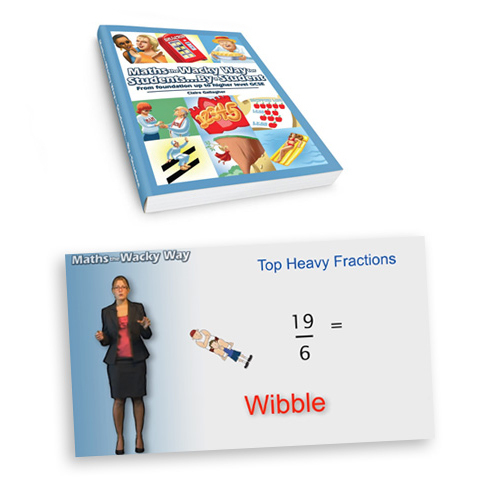 Maths the Wacky Way is a maths book and online maths course for foundation level up to higher level GCSE. The book uses quirky rhymes and illustrations to help students understand and remember methods resulting in higher grades than originally predicted in GCSE maths. 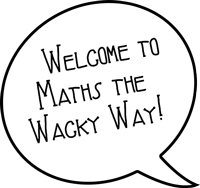 Maths the Wacky Way teaches maths topics by using things that all teenagers relate to, explaining methods in wacky ways, referring to computer games, comic characters, dance moves, etc, helping students learn maths in a fun and motivating way rather than by traditional methods. The book came about after praise by students and parents alike for Claire’s highly successful teaching methods. It was always Claire’s dream whilst tutoring her GCSE maths students to one day publish her tutoring notes in book form and make them accessible to all. The online course was created after Claire uploaded three videos to YouTube which proved extremely successful. Both the book and video course will help students to achieve their full potential in maths in an enjoyable and unforgettable way. For a limited time only, Claire is giving free access to her online course when buying her book. The online course is currently available for £11 but is free of charge when buying a personalised copy of her book for £27.99 plus postage and packaging through this webite. This can be purchased below.